Manage your passwords with ease and security. Easy to remember passwords are also easy to guess. Additionally, re-using the same password makes you vulnerable on multiple sites if that password is ever compromised. Creating a strong and unique password for each account is the only way to avoid this. But how to keep track of all those passwords? A password manager organizes and encrypts your passwords, increasing the convenience and security of your online experience. With RoboForm, instead of remembering hundreds of passwords, you only need to memorize your one Master Password. Released in 2000 and updated continuously ever since, RoboForm is the original password manager. We’ve been featured in countless articles. Here’s what our users have said about RoboForm. RoboForm is available on Windows, Mac, iOS, Android, Linux, and Chrome OS; and for all major browsers including Microsoft Edge. In a rapidly expanding and diverse web, RoboForm has the most reliable automated saving and login technology for your passwords. RoboForm has the most support options. 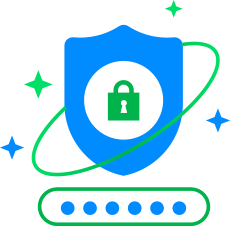 We are the only password manager that offers live phone support, live chat, and 24/7 email. Our users have hundreds and sometimes thousands of passwords for sites that often require frequent password changes. RoboForm doesn’t just store your passwords. It keeps them organized and up to date. All RoboForm data is encrypted using AES256 bit encryption with PBKDF2 SHA256. More information on RoboForm security can be found here.